Esta atualizado 1.875 fazenda é confortável e acolhedor, mas espaçoso o suficiente para dormir 12 pessoas! Localizada nas lindas montanhas verdes entre Sugarbush e Mad River Glen. Um total de oito salas de abranger dois andares, incluindo uma de estar e jantar separada. Cozinha moderna está bem equipada com aparelhos novos e inclui todos os utensílios de cozinha e utensílios! Lavandaria / mudroom tem uma nova lavadora e secadora e do galpão anexo dá espaço extra para guardar coisas. O verão é uma ótima época para visitar o Vale do Rio Mad também. Você vai encontrar buracos natação, arte e lojas de antiguidades, caminhadas, festivais, ciclismo, ótimos restaurantes e muita diversão no rio. Há um grande mercado do fazendeiro nas proximidades. Nosso pátio de pedra tem vista para uma pequena cachoeira e está equipado com uma churrasqueira a gás. Relaxe no belo cenário do Vale do Rio Mad, convenientemente localizado a menos de 10 minutos de carro de três principais áreas de esqui, ou a cabeça para a cidade para fazer compras grandes e comodidades! We had a wonderful weekend. Weather was perfect, House was great! Nice and roomy house with a great location. Plenty of rooms with a nice central hang out area. Kitchen was well stocked. Close to town and the ski areas. 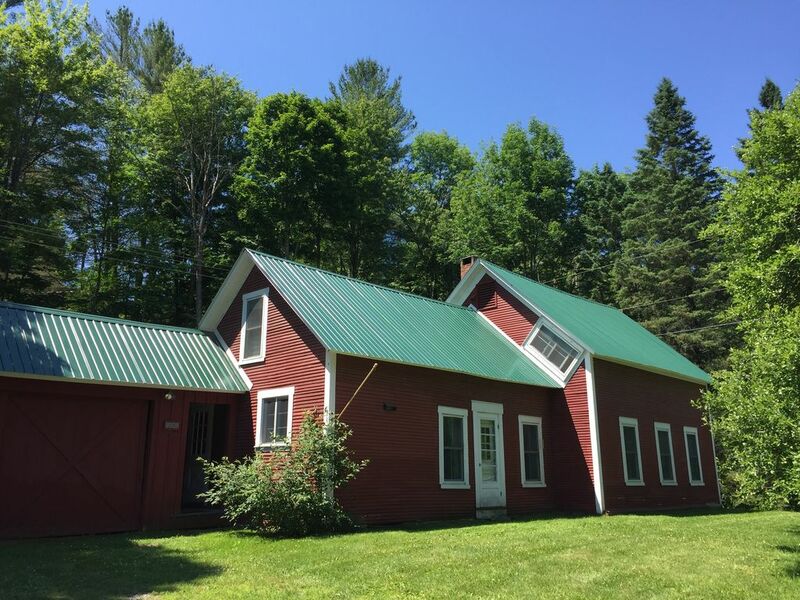 A wonderfully equipped house in a perfect location for skiing at Sugarbush or Mad River Glen and close to all the shops in Waitsfield and Warren. Our family of six had a great stay in the Red Ski House. It was a perfect weekend for fall foliage colors and it was so easy to go hiking right out of the door of the house. It is so easy to get right onto the Mad River Path trails and we really enjoyed hiking along the river. We had a big family brunch and there was everything we could ever need in the kitchen. The beds are all super comfortable and we all thoroughly enjoyed our long weekend getaway in Vermont. The house was so well equipped with everything we needed that we were able to make ourselves right at home without having to go out. Love it! Loved it! Loooooved it!!!! The hosts were awesome! The house was perfect! I love everything about it!